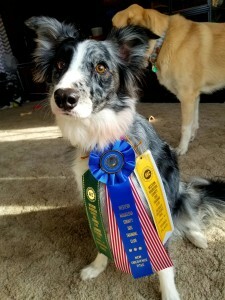 Many KCFA members compete in a variety of dog sports, and several dog-handler teams earned new titles during 2018. These teams were honored at the recent KCFA Annual Meeting held at Sammy’s Place restaurant. Titles earned range from Canine Good Citizen to Trick Dog to Rally, Agility and Hunter titles. Visit our Join the Fun page to see photos. Click on a thumbnail photo to enlarge it, and use the browser’s “back” button to close the photo and return to the page. Congratulations to all our new title holders! The Kennel Club of Fort Atkinson, Inc.